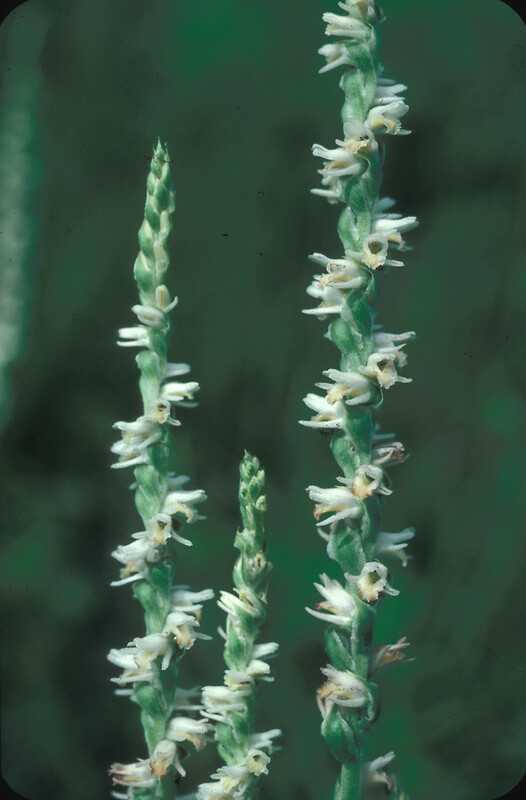 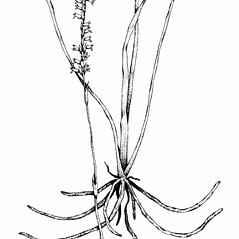 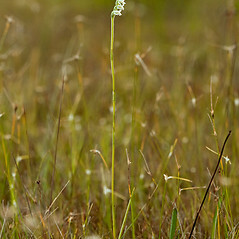 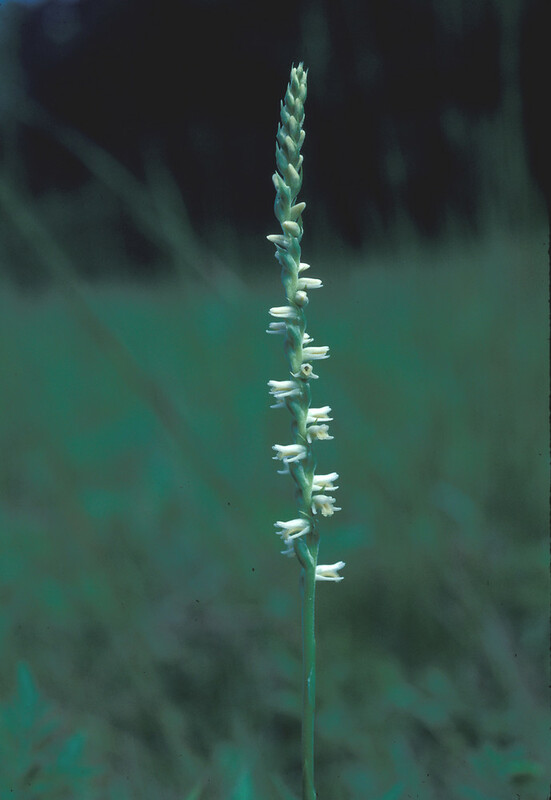 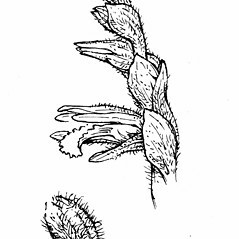 Spring ladies'-tresses has a southern and southeastern distribution, and reaches New England at the northern limit of its range. 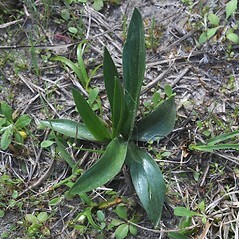 It can be found in Connecticut, Massachusetts, New Hampshire and Rhode Island. 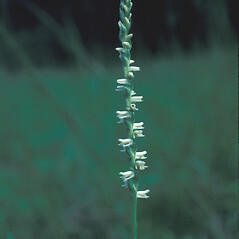 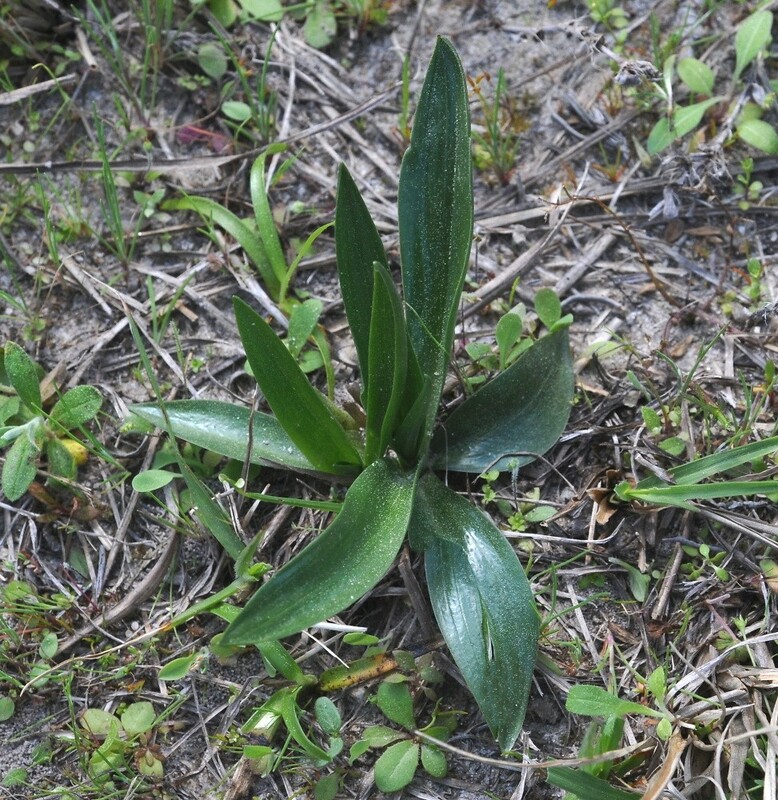 As the name suggests, this species flowers in early spring in the southern parts of its range, but in New England it may not flower until as late as October. 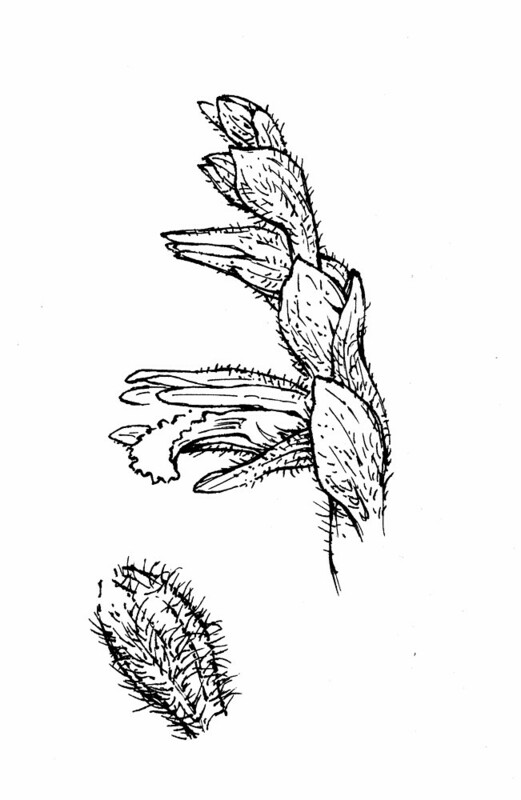 rachis of inflorescence pubescent, in part, with glandular hairs, glands of rachis wider than stipe, therefore, the hairs capitate at their apex, and labellum pure white (vs. S. vernalis, with rachis of inflorescence mostly or entirely pubescent with non-glandular hairs, glands of rachis, if present, narrower or equal to width of stipe, therefore, the hairs pointed or cylindrical, and labellum usually cream-yellow centrally). 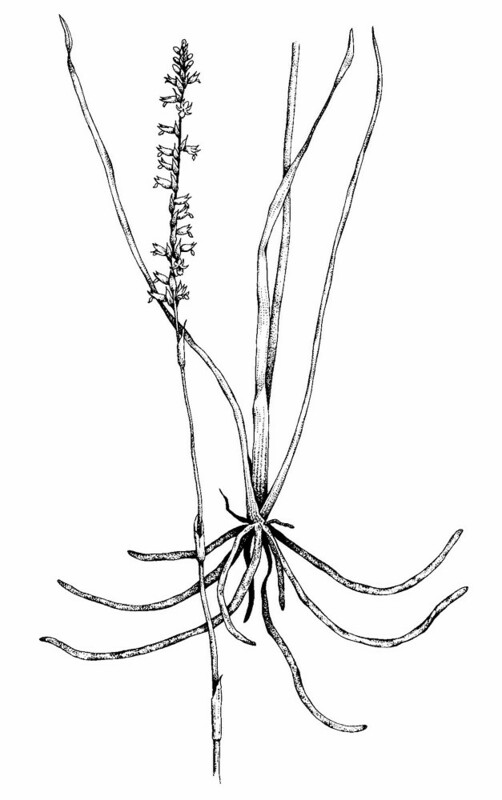 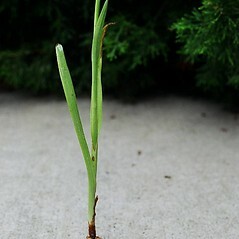 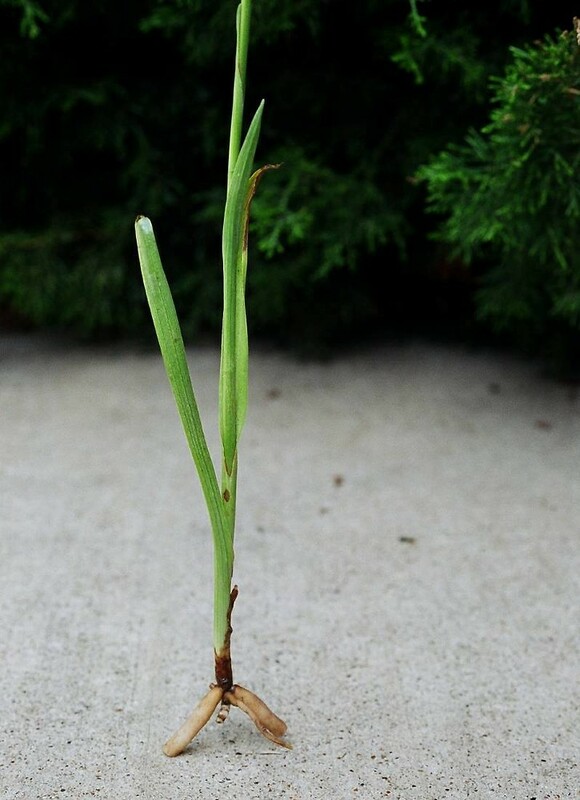 rachis of inflorescence glabrous or pubescent, when pubescent with glandular hairs, glands of rachis, when present, wider than stipe, therefore, the hairs capitate at their apex, and labellum white with a green or green-yellow central area (vs. S. vernalis, with rachis of inflorescence mostly or entirely pubescent with non-glandular hairs, glands of rachis, if present, narrower or equal to width of stipe, therefore, the hairs pointed or cylindrical, and labellum white with a usually cream-yellow central area). 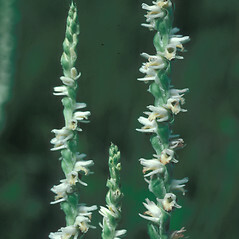 spring ladies’-tresses. 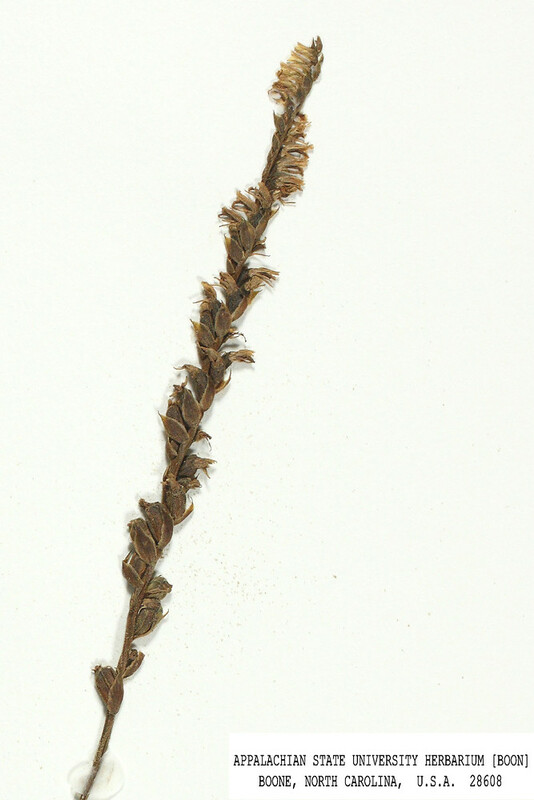 Ibidium vernale (Engelm. 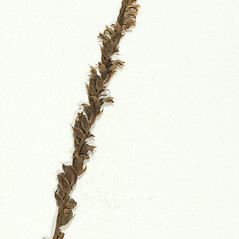 & Gray) House • CT, MA, NH, RI. 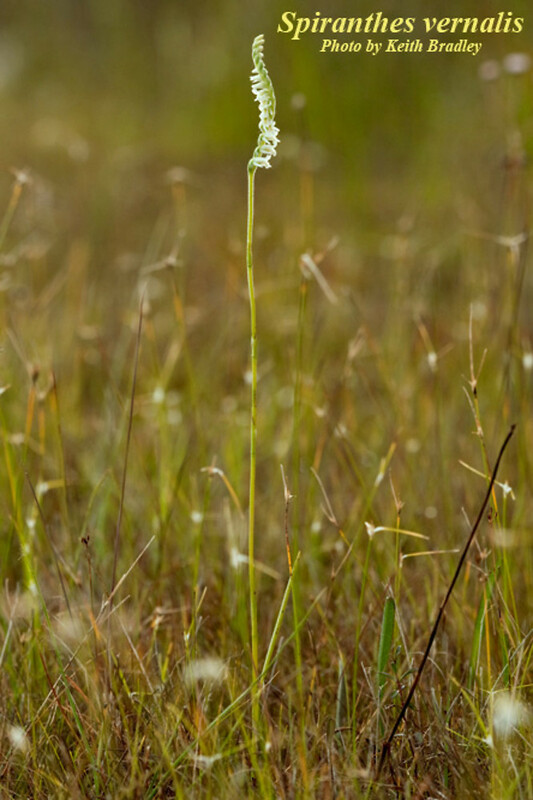 Fields, roadsides, open woodlands, lawns.